Relief activities were carried out extensively by Bhumi after the December 2015 flood in Chennai and surrounding parts. Support was provided to many shelter homes in the affected areas, which included providing household utilities, provisions, and arranging repairs and construction activities in few homes. The December 2015 disaster had also disrupted the dreams for thousands of children. Many children were unable to go to school as they had lost their books, uniforms and other school-essentials to the irresistible water flow. Considering the needs of such children, funds were channeled to help them with school supplies. Teaching aids were delivered to Deepam School for special children. 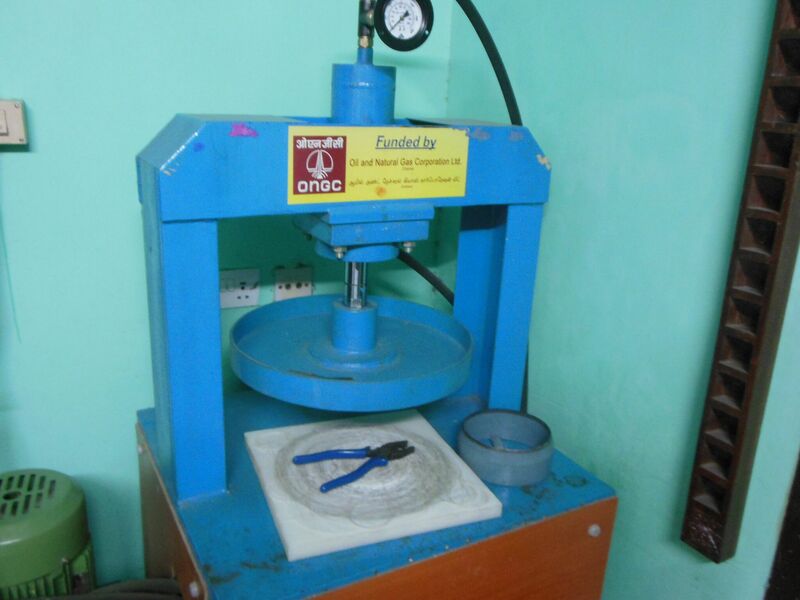 Machines for making paper cup, paper plates and envelopes were installed to support lifeskill for the children at Deepam School. The machines were funded by ONGC. A library was set up in Sistwa, a shelter home at Saidapet. Stationeries were given to children at Kalaiselvi Karunalaya and Amman Maiyam. At SIP memorial in Periyar Nagar (Perambur) and at Panchayat Union Primary Schools (UPS) in Arangankuppam and Pulicat, notebooks and stationeries were given to children. Also, blackboards were fixed at the mentioned Panchayat schools, and at Government Home for Children in Royapuram. In addition to stationeries and notebooks, school bags were also given at Morning star social welfare trust in Pallavaram. At Morning Star trust in Pozhichalur, at Faith home in Porur and at Grater Love Children’s Home in Ayanavaram, uniforms and school bags were given. School bags, stationeries and geometry boxes were given at Jeevan Karunya community centre in Shenoy Nagar. 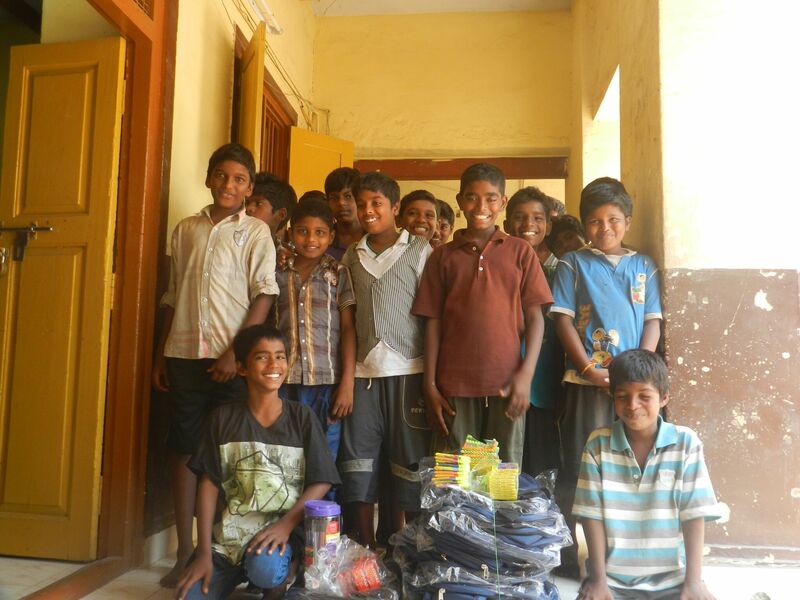 School uniforms were provided to more than 500 children at Siragu Montessori School in Palaveedu (Avadi). Uniforms were also provided to children at various shelter homes that include Home of Hope, SEERS home, Saibaba Gurukulam in Pozhichalur, Annai Illam orphanage in Gummudipoondi, and at Atheeswara Charitable trust in Mudhichur. At Karunai Illam, then a residence for 72 children, foot wears were given apart from school uniforms. NCC uniforms were provided to children at Chennai Girls Higher Secondary School in Saidapet. At Share and Care, a home in Utthukottai, children were provived with complete school set that included notebooks, school bags, stationeries and uniforms. Notebooks were given to children at NEST Community centre. 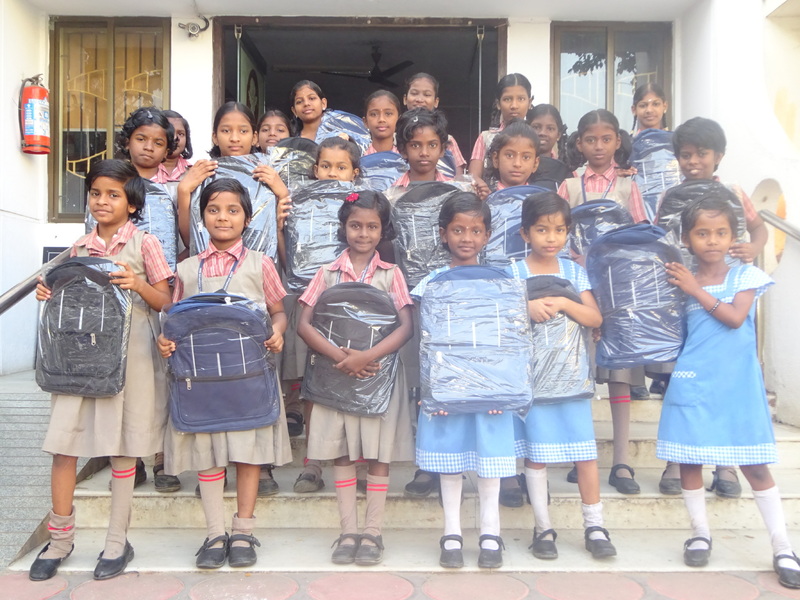 School bags and stationeries were given to more than 1000 children from around 20 shelter homes in and around Chennai. The homes inlcude Kalaiselvi Karunalaya Home in Mogapair, Baba Gurukulam in Polichalur, Thiruvarut Praghasa Vallalar Siruvar Illam in Kanchipuram, CMS School in Namasivayapuram, Amaidhi illam in Kolathur, Udhavum Ullangal in Adambakkam, Government home for Children in Royapuram and Adhi Dravida Manavar Illam. Bags were also gifted to more than 100 children in SEED-Correya home as a part of Joy to the World programme. Desktops were installed at various orphanages for the educational benefit of children; The orphanages include Home of Hope in Thirunindravur, and Uthavum Nanbargal in Edapalayam village. The students from the Edapalayam village were also trained in vocatioal skills. A dektop was also installed at Deepam School for Special Children in Kilpauk. At Indian Council for Child Welfare in Shenoy Nagar, office computer was repaired. In all, children from more than 20 shelter homes in and around Chennai received the school utilities, bringing smiles to their face. They were more then happy on experiencing the good support from people through Bhumi, thanks to all the contributors to flood relief.